Are you fascinated with watching TV programs and online videos of fossil discoveries? 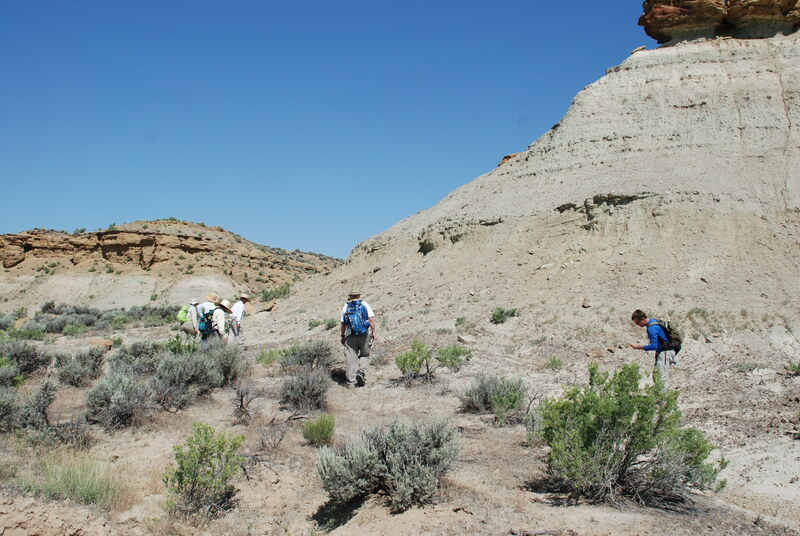 Why not join our fossil (paleontology) field program and experience the excitement first hand. 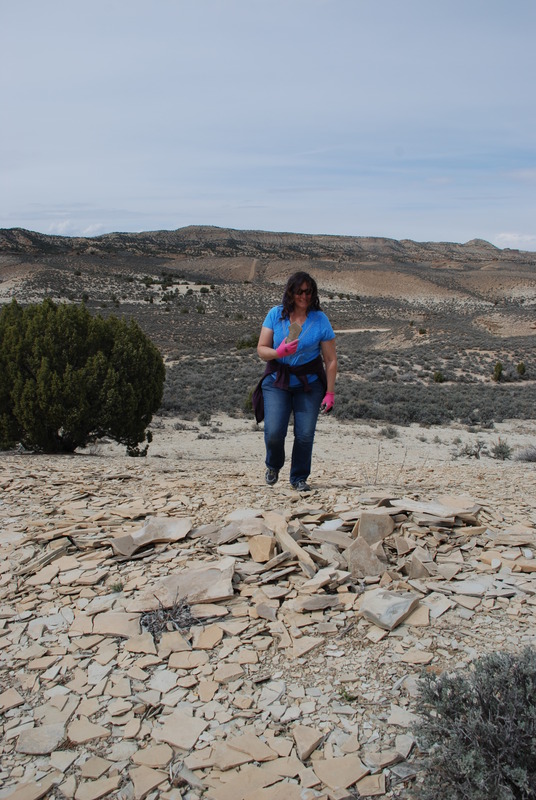 Join museum staff as we explore the beautiful Uinta Basin and Mountains near Vernal Utah for dinosaurs, mammals, plants, insects, and other fossils (depending upon available sites). Participants will work along aside experts in the field of paleontology to collect specimens for the museum. Who can participate: Anyone 16 years old or over, individuals ages 16-18 needs to be accompanied by a paying adult legal guardian. Cost: $500 per person (for 5 days); includes expert leadership, surveying for new fossil sites and practical experience in collecting fossils, and possibly preparation of fossils. Equipment used in collecting/preparation will be provided. Registration is limited to 15 participants/week. We accept cash, checks, or credit cards, and payment must be received by April prior to start date. What Participants must provide: Lodging, meals, transportation (high clearance vehicles recommended) to sites, gas for vehicle, personal items such as work gloves, hiking boots, sunscreen, bug repellent, water containers, sunglasses, hats, coolers, etc. Program experiences details: Paleontology program will include, but not limited to, exploring for and collecting fossils (using standard professional techniques) for the museum, under adverse field conditions. Hiking in mountainous or badland terrain, where steep and rocky slopes exist will be part of the program. Bugs, hot temperatures, dusty environments, unpredictable weather and other natural elements will be encountered. Field techniques may include the excavation, collecting, and documentation of fossils. Heavy lifting, use of chisels and hammers, and operation of power tools is part of the excavation process. Participants will leave from and return to the museum each day. The lab portion of the program (if held) may involve small power tools and application of adhesives and consolidants. Dust and rock debris may occur due to preparation work. Participant may lift heavy objects over 20 lbs using equipment or by hand. Intermittent periods of sitting, bending, or standing may be possible. How to sign up or questions: Contact the museum at stevesroka@utah.gov or 435-789-3799, 496 E. Main, Vernal Utah 84078.